I have not had the time to paint anything these last few weeks, but I did this pair for the LAF old school painting party back in September. Somehow I forgot to post them here. 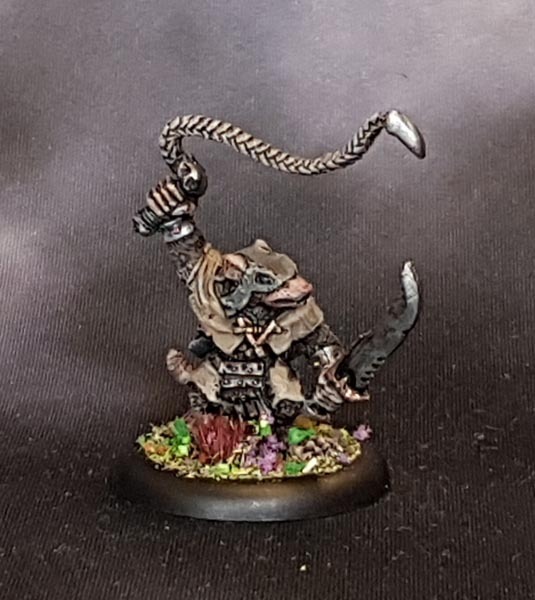 This is your bog standard Skaven Packmaster, 90s era. I have used a modern lipped 30mm round base. Originally it is mounted on a 20mm square. and his angry charge, Lump the Rat Ogre. 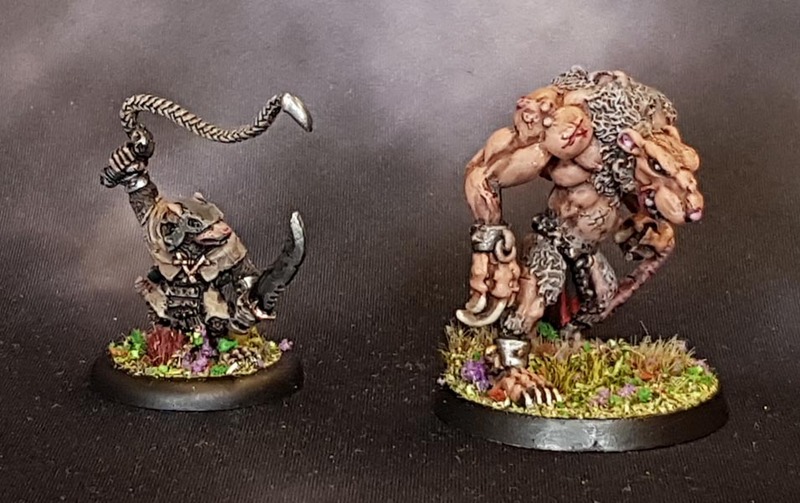 I painted a bunch of these Rat Ogres back in the day to use as Chaos Space Marine Chosen or Possessed for my Nurgle Ratmarine army. 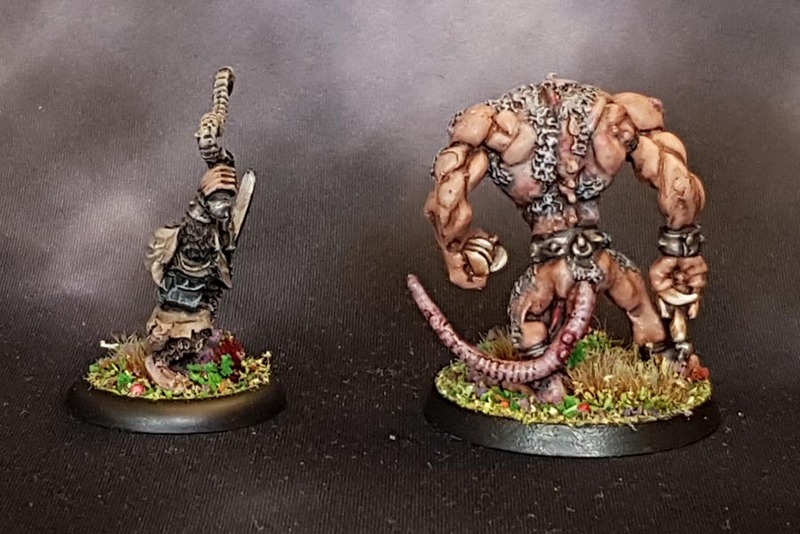 So I have used the same style round base as I used for them, in case I one day want to update the paintjobs on them (at least on the bases) to make a unit for my plaguemarines. 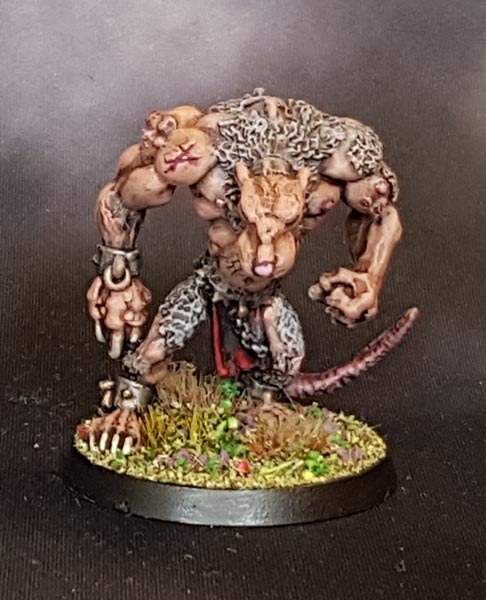 Or use in my Skaven army if I convert it to AoS. 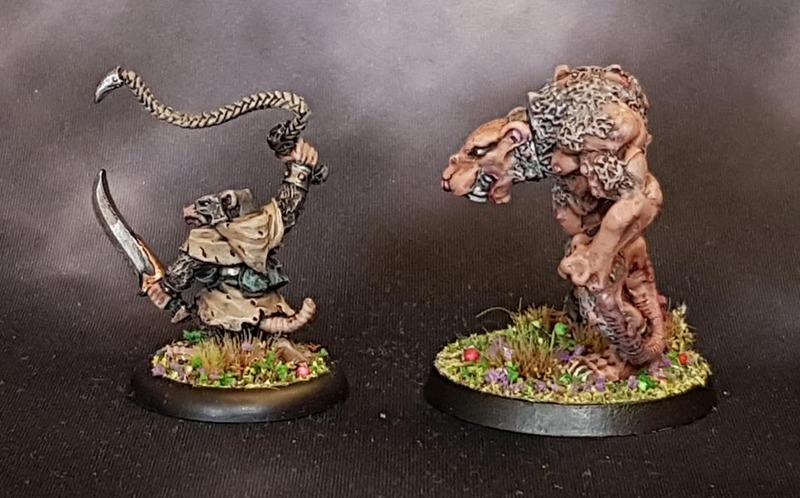 I call these Middle School, as they are from the second Skaven range that was released mid 90s. In my thoughts these are still the “new” ones, completely missing the far more recent plastic skaven releases from the late 00s. Damn, this getting a life thing steals all my time!